The Accents on Shakespeare series provides short, powerful 'cutting edge' accounts of and comments on new developments in Shakespeare studies. The volumes either 'apply' theory, or broaden and adapt it in order to connect with concrete teaching concerns. 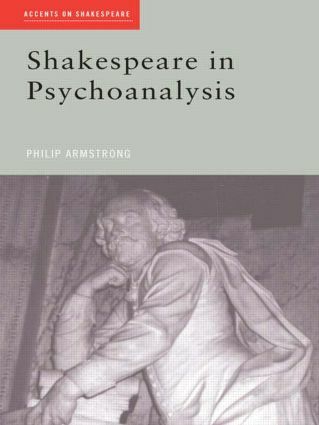 In the process, they also reflect and engage with the major developments in Shakespearean studies of the last ten years. Since the New Accents series was established, 'theory' as a fundamental feature of the study of literature, the need for short, 'cutting-edge' accounts of and comments on new developments in literary studies has increased enormously. In the case of Shakespeare, Accents on Shakespeare supplies an exciting range of provocative new titles. The books in the series either apply theory, or broaden and adapt it to connect with teaching concerns. In the process they also reflect and engage with the major developments in Shakespearean studies of recent years.